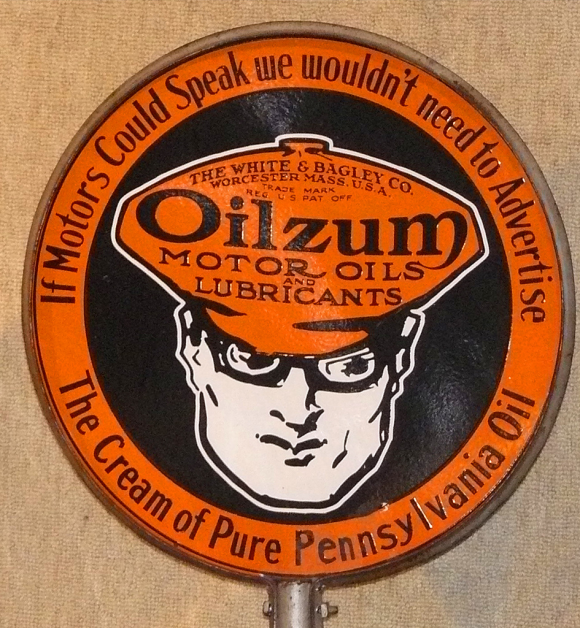 Lollipop sign for Oilzum Motor Oil and Lubricants. “If motors could speak we wouldn’t need to advertise” is stated across the top. “The Cream of Pure Pennsylvania Oil” is stated along the bottom.